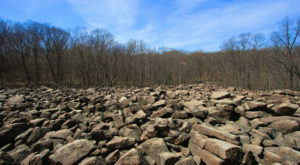 Philadelphians love to eat. 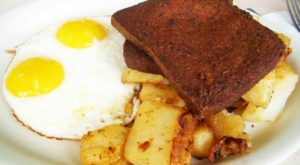 We take brunch seriously, dinner is an artform, and the best way to get us fired up is to talk about hoagies or cheesesteaks. 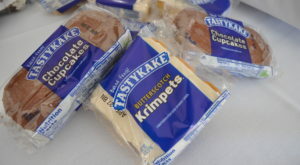 What you don’t hear a lot about in Philadelphia is dessert. 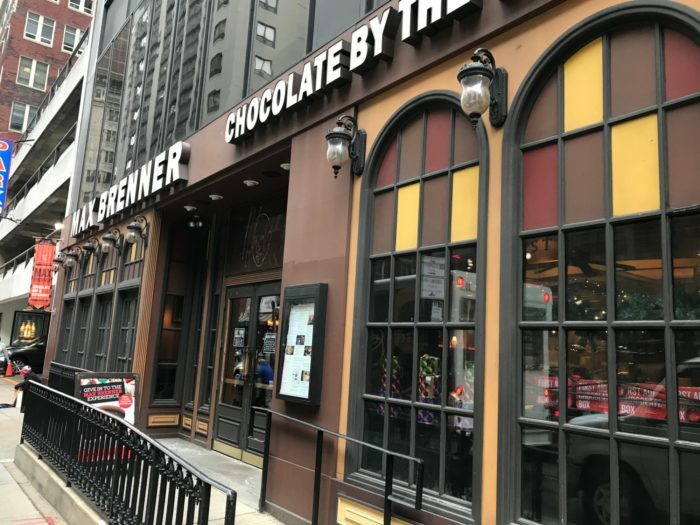 Sure, we all have our favorite ice cream spots and appreciate Insomnia Cookies for catering to our late night cravings, but there’s really only one destination that anyone with a sweet tooth has to know: Max Brenner, the chocolate themed restaurant right in the heart of the city. 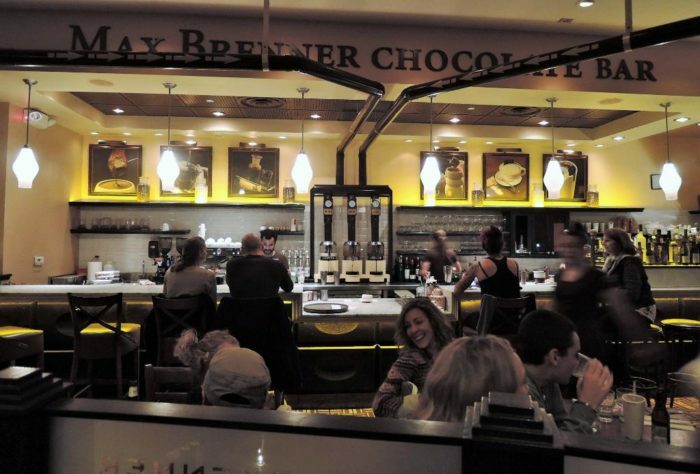 Max Brenner is located in Center City at 1500 Walnut Street, Philadelphia. 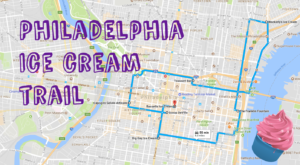 Inside, you'll find Philadelphia's own world of pure imagination. Willy Wonka would be proud. 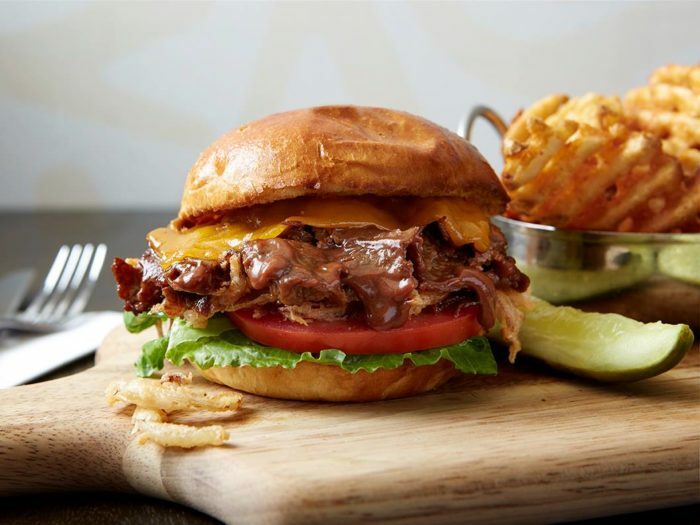 Max Brenner boasts a full lunch and dinner menu, including delicious burgers and sandwiches. Their mac and cheese is a popular choice. 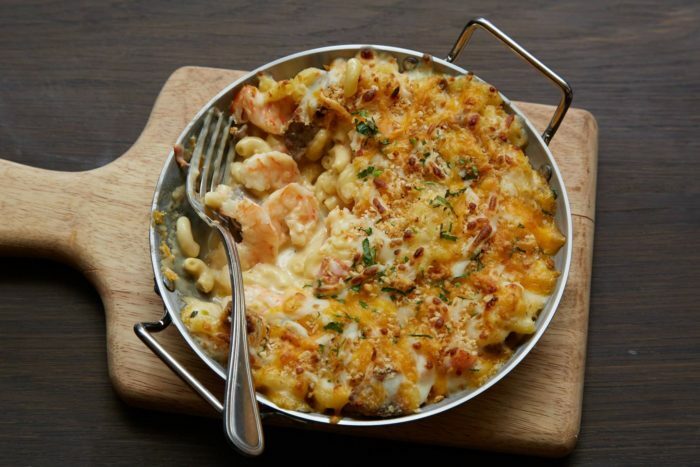 They serve varieties like the Really-Cheesy Shrimp, Chorizo, and Truffle, which is a cross between jambalaya and gooey mac! 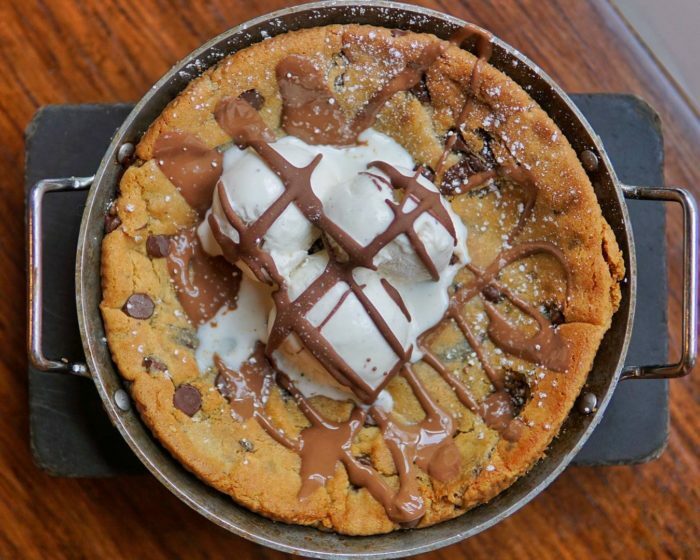 But the real reason everyone comes to Max Brenner is their dessert menu. 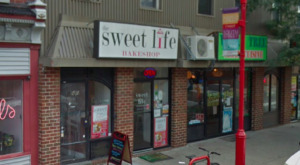 From cookies, to cakes, to ice cream... they've got it all. 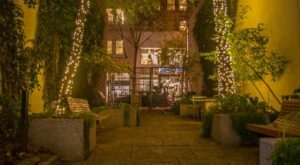 There are nine different varieties of hot chocolate, all of which are served in their signature "hug mugs," making for a cozy-by-the-fireplace experience. 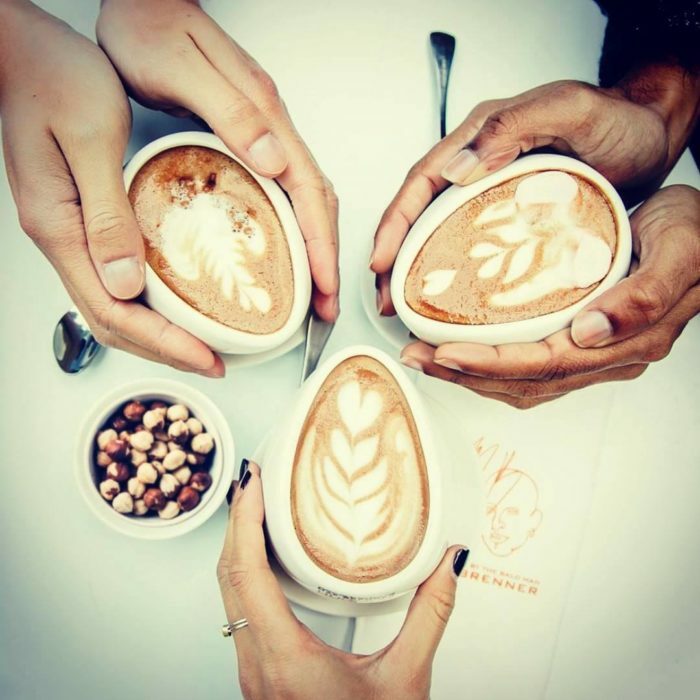 If you're more into coffee, you'll be served a Kangaroo Cup, which has a pouch on the side for melting chocolate into your drink. 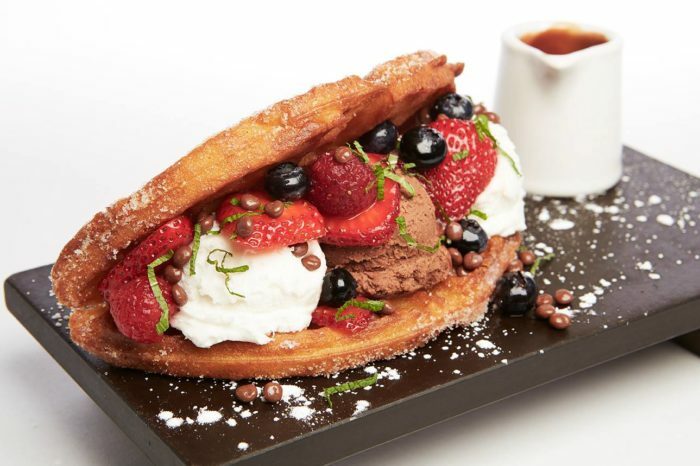 They are famous for their waffle creations, like this stuffed fruit and ice cream concoction. 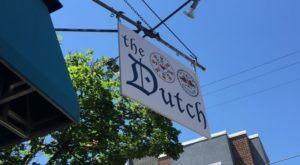 In fact, they have at least nine waffle desserts on the menu at all times! The chocolate chunk waffles are my favorite, but you can't go wrong with Tutti Frutti or Banana Split either. 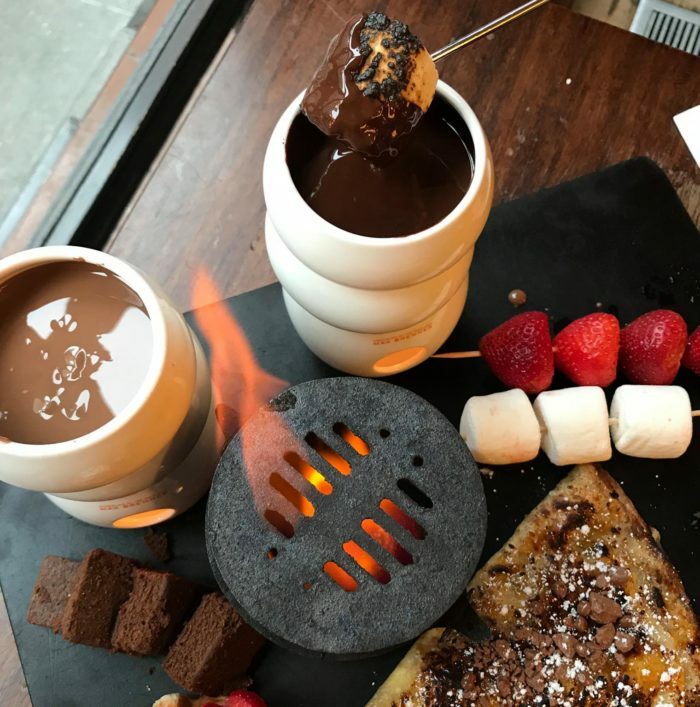 If you want a unique experience, order fondue! The S'mores version comes with an open flame for toasting marshmallows before dipping away in chocolate or caramel. Not everything is super chocolatey. 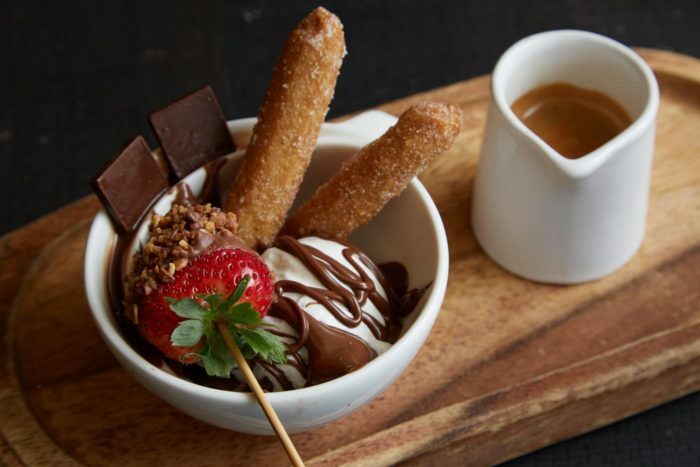 They also have several churro-based desserts, like this hazelnut-drizzled delight served with espresso and strawberries. 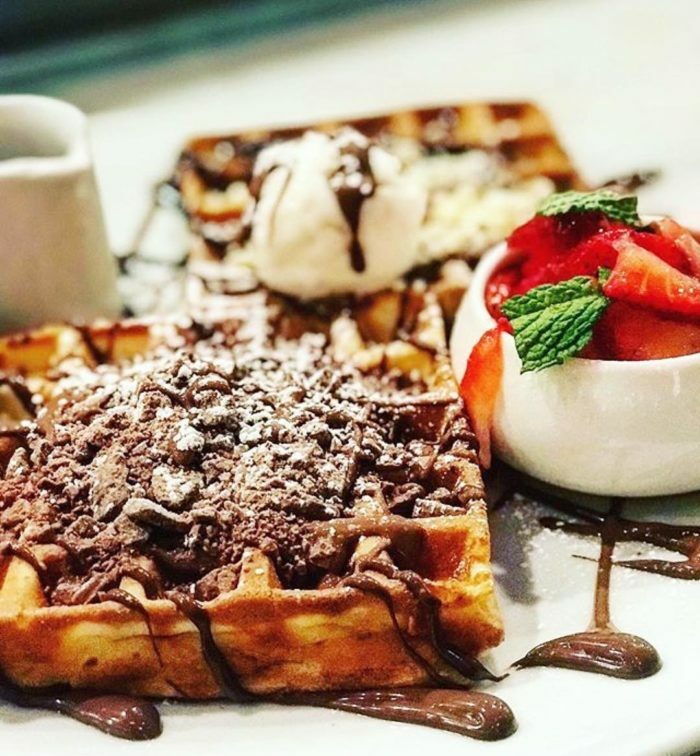 Max Brenner is open Monday - Thursday from 11 AM - 11 PM, Friday from 11 AM - 1 AM, Saturday from 10 AM - 1 AM, and Sunday from 9 AM - 11 PM.